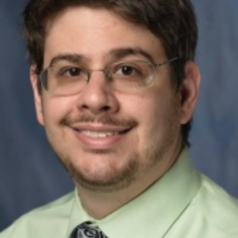 Michael Shapiro, MD, is board certified in general psychiatry and child and adolescent psychiatry, Dr. Shapiro is the medical director of the child and adolescent inpatient unit at UF Health Shands Psychiatric Hospital. He also is the clinical director at UF Health Child Psychiatry at Springhill Health Center. Dr. Shapiro received his bachelor’s degree from UF in 2005 and finished medical school there in 2008. He continued at UF and completed a residency in psychiatry in 2011 and a fellowship in child and adolescent psychiatry in 2013. Dr. Shapiro is a fellow with the American Psychiatric Association. He also is a member of the American Academy of Child and Adolescent Psychiatry, the Florida Psychiatric Society and the North Central Florida Council of Child and Adolescent Psychiatry. He is a PRITE© Editorial Board Member for the American College of Psychiatrists and a member of the Association for Academic Psychiatry. In 2014, he won the AACAP Rieger Psychodynamic Psychotherapy Award. Specializing in adolescent mood and anxiety disorders, Dr. Shapiro also has experience treating attention deficit hyperactivity disorder, disruptive behavior disorders and substance use disorders.